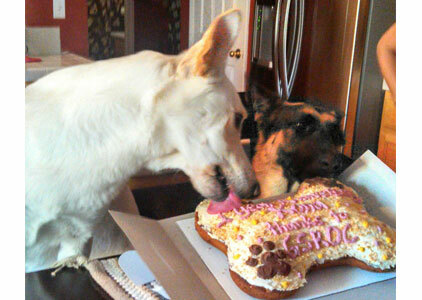 Alum Kona Celebrates His Anniverary Cake with Alum Drake!! A couple of pictures of Kona after one year …he’s such a great dog and we love him heart & soul!! He is now swimming and will stalk us when he sees us getting our suits out he NEVER leaves the pool with anyone in it ❤ he is so ball and toy driven and just loves to have a purpose!! !